On August 26th 2011, I invited a small group of friends in the wine industry and from the media to taste nearly thirty different wines from Thailand at The Classified. No agenda, no special occasion, just a casual get together to gauge the quality of Thai wines from mainly two key producers – Granmonte and Siam Winery. 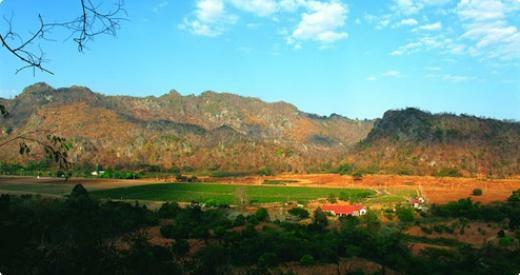 In general, Granmonte reds were better as a group than their whites and in reverse, Siam Winery’s whites were better than their reds. Some arrived and said, “Do they really make that much wine in Thailand? I didn’t think you could put together a lineup of so many Thai wines!” The selection included a handful of rosés, sparkling wines, whites, reds and sweet wines. These wines are not easy to find outside of Thailand and all were shipped directly from the wineries. A big thank you to the producers who sent them to us! Considering the tropical weather, the humidity and heat as well as double harvest every year, most of the wines offered a refreshing drink. Don’t expect concentration and depth – what we can expect are wines that are fresh, balanced and lively. Ten years ago, to assess the quality of Thai wines I would have said, “If the wines are clean and without fault, they are fine.” Now, I expect to go beyond fault-free and cleanliness and move toward vibrant varietal aromas, good acidity and balanced components. I still don’t expect to find depth, complexity and long length, and didn’t find any in this assortment. The selection of wines were as I expected – mostly clean, well made and easy to enjoy with spicy Thai food.